We all love internet shopping – but you just can’t beat being able to touch and try something out before you decide to buy. So come on down to our shop in Hobart to check out our great range of sports and fitness gear. 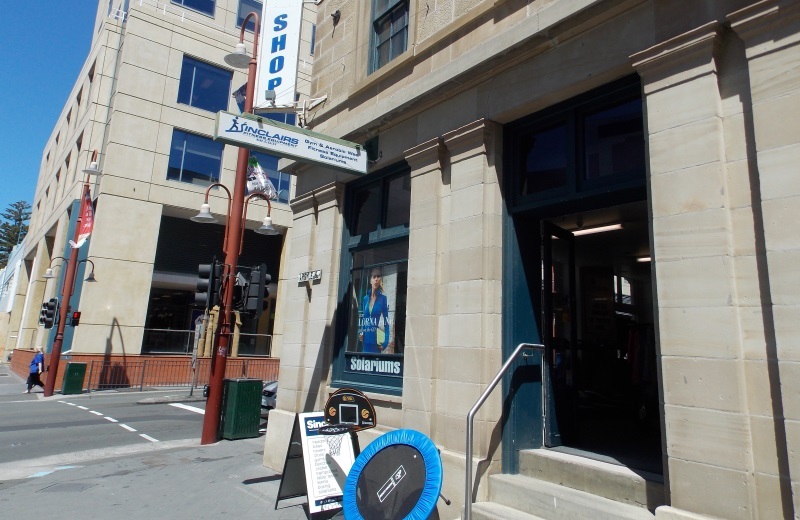 You’ll find us, Sinclair’s Fitness, at 51 Collins St, Hobart. We’re in the old Red Cross sandstone building of the corner of Collins and Argyle Sts. We’ve got a fantastic range of equipment and friendly staff to help you out with any questions.